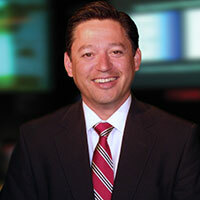 Chris Ornelas serves as chief operating and strategy officer of the National Association of Broadcasters. In this role, Chris directs the daily operations of and provides strategic guidance to NAB’s advocacy teams in addressing the diverse legal and regulatory issues facing broadcasters today. Chris currently serves on the Asian Pacific American Institute for Congressional Studies’ Board of Directors and The Latino Coalition’s Corporate Advisory Council. Chris earned a J.D. from the Washington College of Law at The American University and a bachelor’s degree in Rhetoric and Communications Studies from the University of Virginia. He lives on Capitol Hill with his wife, Maria and their son Dante. next post: Rep. Raul Ruiz, M.D.